We frequently hear complaints around this time of year that despite Christmas being billed as a time to show goodwill to all men, very few people actually follow through on this particular aspect of the festive season. We’ve been accused of being hypocrites in this regard, but it’s important to remember that there are many things that hold people back this time of year; for starters, we may find that money is much tighter after all our Christmas shopping is done, or we’re worried about being hounded for further donations if we give anything this time of year. Luckily, there are plenty if other viable and less stressful ways to support charity over Christmas which don’t break the bank or your sense of security and sanity. While I’m certainly not suggesting we should give up entirely on our own Christmas celebrations or presents, we should always find a way to put the lessons of Christmas into play and help those who need it. 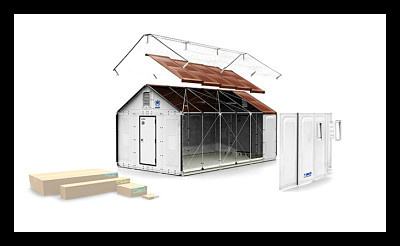 As the Syrian crisis rumbles on, IKEA’s philanthropic arm has specifically designed a DIY shelter that is substantially better than the average tent a family must live in. The shelters come with a range of crucial features including locking doors, running water, high ceilings, and electricity. Thousands of units have already been shipped to Syria’s neighbouring states Iraq and Jordan, but now IKEA is offering the public a chance to buy a shelter for a family over Christmas. The shelter is crucial for providing the security a family needs living in a refugee camp, and the shelters last an average of 5 years before they need to be replaced. The great thing about charity Christmas cards is that they are available to buy from a very broad range of charities, meaning you can support the cause of your choice very easily and every penny goes to the charity itself. You’ll commonly be able to choose from either religious imagery or secular imagery, so there’s something suitable for a wide range of people. The designs themselves are normally contributed by professional designers and artists, so you can expect to a choice of appealing designs. Help for Heroes provides support for veterans of war with a range of medical and social services such as reintegration, overcoming injury and PTSD. What is little known is that HFH also supports soldiers on active duty, most of which will be stationed in warzones for the entirety of the Christmas period. In response, HFH is giving supporters an option to send food to soldiers abroad for Christmas, as well as donate gifts, decorations, and advent calendars. The move is aimed to help soldiers feel more at home whilst on active duty abroad, and is said to be good for mental wellbeing and increase morale. Increasingly in the UK, people are having to make use of food banks in order to feed their families. Sweeping welfare cuts have made this situation much more difficult for the UK’s poorest, but thankfully this is set to improve over Christmas because of the support national food bank’s receive each year. 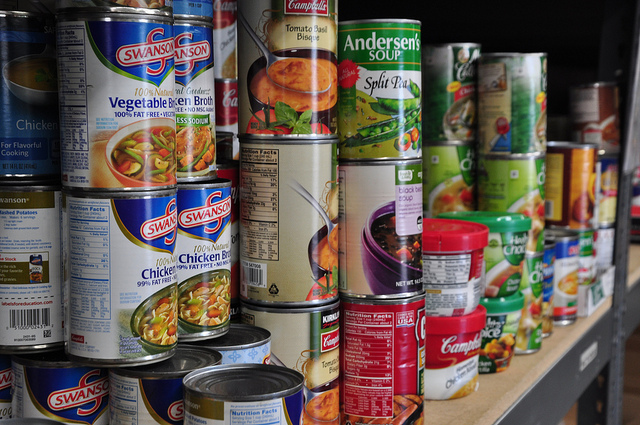 You can donate as much, or as little, food as you can manage, but canned food is most desirable as lasts longer and doesn’t spoil easily. Also welcomes is food for popular pets such as dogs and cats, so that people struggling can also afford to feed beloved animals. Not only can you donate food for the homeless over Christmas, but also give them shelter from the winter cold for a donation of £22.29. Crisis has put together a reservation system in which donations will secure a room for a homeless person during Christmas. One of the best things about donating shelter through Crisis is ongoing support and access to a range of services for homeless people, such as employment and housing consultation, health-check-ups and food. These support services from Crisis can often be successful in helping people get off the streets, so it’s comforting to know your money is being put to good use.